As marketers, it is sometimes easy to create an Eldorado full of buyers who just do our biddings just because we assume we know them enough to manipulate them emotionally to buy from us forgetting that prospects and customers buy only when products and services fulfill their needs, answer their questions or solve their problems. Also the fact that they possess the qualities of buyers does not change the fact they first of all come as human beings influenced by factors like high or low financial power, mood swings, families, beliefs, personal goals, insecurities and a lot more. Closing leads should not be primarily about playing mind games with prospects and customers. The simple way to really understand the mentality of prospects is to view them as people we share mutual relationships with, people whose temperament, behaviours, personal challenges or everyday situation we are privy to. If we knew them really well, we will most possibly not play mind games with them. Even as salespeople, we buy, so how do we really like to be treated in our buying experience? The very first and most common reverse psychology we play with is the impression that the potential for closing a lead is higher when we delay reverting to prospects for a day or more. We think that creates the impression that we are really engaged. That is a great miss. If we take a reality check, the probability of making contact with a lead is 100 times higher if you call them in a spate of 5 minutes and the odds of hitting gold with such contact is 21 times better if called within 5 minutes. Also, research shows that about 35 to 50% of sales are landed by the vendors that respond first to contacts’ calls. The lesson here is delay in responding to leads can create a really negative impression of your business and your service quality. Prospects actually enjoy delay when it is posed by them, that is almost a past time but when the delay in response is from your end, it is perceived as an inexcusable imposition. During the waiting time, leads might make psychological responses to such situations that will not favour your business. A specific example of such reaction is searching for an alternative channel for transacting business. It is better to make a more positive impression by calling in timely fashion. Another misconception is assuming that wearing your best suit, knocking on your prospects’ door, taking a seat and telling him what you do and why you do it, passionately rattling off about your products and services will make them buy on first contact. You think they would be crazy not to buy. That is in salespersons’ dream world. In reality, only 1 in 50 deals are struck at first meeting, 63% of people requesting information on your company today will not purchase for at least three months and 20% will take more than 12 months to buy. Digital marketing has changed the turn of things, before the inception of online marketing the power tilted more to the seller but in recent times, power has tilted acutely to the buyer. Now buyers are contacted and they take control of all the steps along the sale. This is because they have access to more information about you and your brand unlike in the past when the little information they can get is from you. With this in mind, the first call or meeting is designed for acclimatizing with your prospects and their business not selling. You should be inquisitive about what they want, what they plan to achieve and what challenges they are facing. This is why you must research on your prospect and the nature of his problem beforehand. Then you will be able to build trust and get them to speak to you. This will also reduce risks for both parties. Afterwards, you can proffer the next insight and leave them to decide but that does not stop you from sending appropriate reminders. Just take the gradual steps and they might become your proud customers one day. An offshoot of the previous misconception is asking for commitment too early. You feel if prospects are not ready to commit when you ask, then they are not worth it. You leave them and move ahead thinking there will be other prospects who are interested in committing. In reality, companies that excel at lead nurturing generate 50% more sales at 33% lower cost and nurtured leads make 47% larger purchase than non-nurtured leads. This is why you need to nurture your leads with personalized and relevant content until they are ready to buy. Another is you assume if you send the same generic message to all your leads, they have no way of knowing it’s not meant just for them. Far from it, your leads know when mails are personalized, so they know when they are just another lead or when they are that special prospect that is worth your time and effort and there is big data to assert that fact. In reality, the percentage of spam mail in email traffic averaged 64.5% in June 2014. Personalized emails improved click through rates by 14% and conversion rates by 10%. 68% of marketers say personalization based on behavioural data has a high impact on return on investment and 74% say it has a high impact on engagement but only 19% do it. One other reason your leads are annoyed with you is that you do not follow up your first conversation with them. You think you have done your bit so they will come to you if they are interested. When in reality 2% of sales are made on first contact, 3% on the second, 5% on the third, 10% on the fourth and 80% of sales are made on the fifth to twelfth contact after the first meeting. Unfortunately 44% of salespeople give up after 1 follow up. Be it actively or passively, there is need to follow up your lead. It is wrong to assume that the reason leads do not respond to your phone calls is because they are not interested in doing business with you. What if it wasn’t just convenient for them to respond to your mails or calls as at when you contacted them? Some are interested but taking time to explore their options, so a follow up might make you the right option. 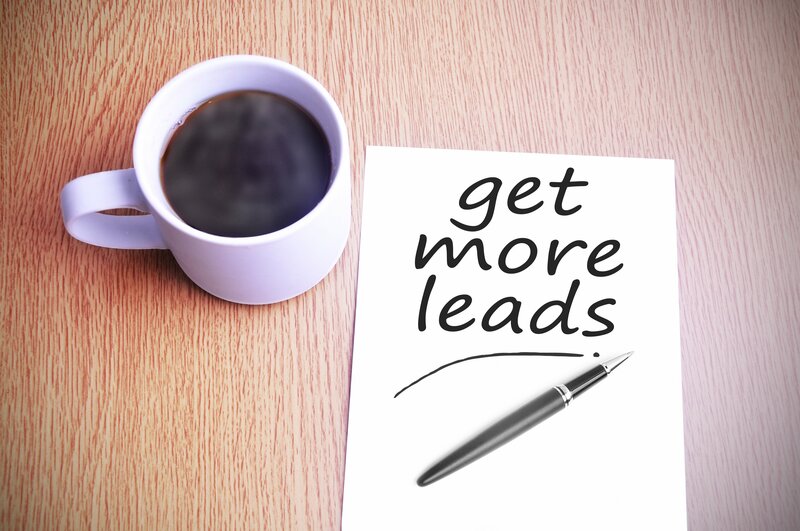 There is greater chance that your leads can turn in more sales if you follow up from time to time. Yet another misconception! You think being on the social media is all about it. You have all the profiles set up, so the leads can flow. This is wrong.